Call us toll-free 877-644-8605 x1 for more information. You’ll discover a “24/7” collection resource that can better serve the up to 90% of students who prefer interacting with an on-line agent rather than a live collector. The collection staff of Main Line Recovery Solutions has been trained by nationally-renowned industry expert David R. Glezerman in all aspects of campus-based student loan programs, including federal regulations, as well as effective techniques for collecting student debt. The information presented by Glezerman supports Main Line Recovery Solutions’ ability to partner with higher education institutions looking to reduce their campus-based student loan default rates and increase recoveries. MLR Solutions and our ethical collection approach combined with a comprehensive business unit dedicated to educational institutions makes us your best choice. What you’re going to find when you partner with MLR Solutions is better results from people who care more about people than pennies. Our approach to the higher education segment, a proven combination of industry best practices, advanced technology and 40 years of experience. MLR managment team, having worked with over 250 educational institutions throughout their careers--- ensures better receivables recovery while maintaining positive, productive relationships. We strive to build relationships with your students, and having built trust --- rather than harassing and annoying them till they avoid us --- they work with us to find a way to pay. We also work diligently to ensure prompt reimbursements from parents and third party payers. We believe that it is especially critical to this segment that we earn their trust and respect, and that professional integrity is not only the best collection business strategy, it also protects you against litigation, and maintains your reputation as an ethical, moral partner. 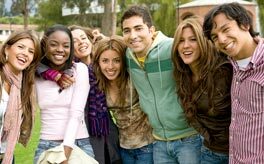 We have extensive experience with recovering delinquent balances that originate from student loans as well as campus-based accounts and student fees. Copyright ©2011 MLR Solutions. All Rights Reserved.